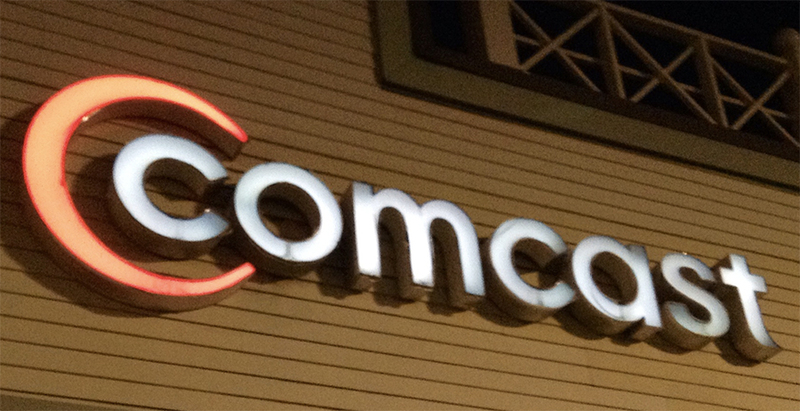 With Comcast losing pay-TV subscribers in favor of streaming video services, the company is doing what it can to retain customers who not only ante up for TV and broadband, but also for home phone service. Today, the company confirmed that some of its Mid-Atlantic and New England broadband customers will be getting free speed upgrades. Comcast is trying to sweeten the pot to retain Triple Play (TV/Internet/Phone) customers, who account for about 45% of its subscriber base, by bumping some of them up from 25Mbps service to the new Performance Pro tier at 75 Mbps at no extra cost. Note that the company’s press release only refers to “eligible Triple Play subscribers” but provides no further details on eligibility. A Comcast media rep we contacted didn’t provide specifics but said the company will soon be notifying those who are eligible. As a customer-retention plan, it’s not a bad idea. Costs for carrying TV networks continue to increase while live-TV viewership is down, so as much as Comcast customers would love to see a price drop for their cable service, that’s unlikely. There’s not much you can do to make phone service more attractive; we’re amazed that so many people still pay for landline service. But one thing Comcast can do is improve data speeds. Most of the affected customers currently don’t need 75 Mbps service and won’t suddenly run out to buy multiple 4K TV sets to take advantage of the faster speeds. It’s a lot like the recent spate of wireless companies giving away extra or free data to smartphone users. It’s a factor the company has control over and a benefit that most will not fully take advantage of. If you’re an Internet-only customer with the higher-speed Blast tier of service, you’ll get a free downstream speed increase, taking you from the current 105 Mbps to 150 Mbps. Unlike the other no-cost increase, you don’t have to be a Triple Play subscriber. The bad news is that Internet-only and Internet/TV-only Comcast subscribers with speed tiers lower than Blast will not yet see any speed increase, and why would the company go out of its way to retain these Internet-only customers when they are growing in number? This is why increased competition in home broadband is needed. Comcast customers (and subscribers of most cable companies) have little choice for high-speed Internet service, so if they cut the pay-TV cord they are often still tethered to the pay-TV company by the Internet. With competition, Comcast would have to fight to keep the business of that defecting pay-TV customer.